LAKE SUCCESS, N.Y., July 26, 2011 – Canon U.S.A., Inc., a leader in digital imaging, has strengthened the X Mark I series of products today with the launch of two new desktop business accessories, the X Mark I Mouse Lite and the X Mark I Keypad. Designed with input from Canon's Camera design team, these sleek and stylish products are the ideal extension to a laptop's standard keyboard, helping to improve overall work efficiency for business professionals working remotely. "The addition of the X Mark I Keypad and X Mark I Mouse Lite marks Canon's entry into a new product category," said Yuichi Ishizuka, executive vice president and general manager, Imaging Technologies and Communications Group, Canon U.S.A. "Canon recognizes that business professionals are always on the search for tools that help improve work efficiency and we feel these new products will certainly accomplish this task." 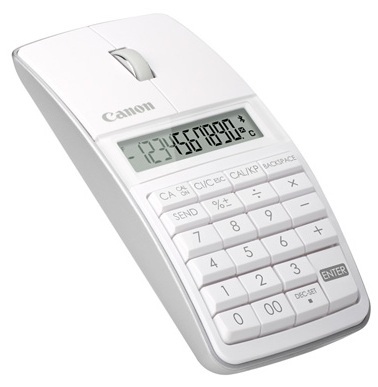 The three-in-one Canon X Mark I Mouse Lite combines the functionality of a laser mouse in addition to a keypad and 10-digit calculator making it ideal for the traveling business professional along with anyone interested in minimizing the number of accessories in a workspace. Available in either black or white, the X Mark I Mouse Lite is compatible with Windows PC or Mac laptops, has three mouse buttons and Bluetooth 2.0 connectivity. In addition, this new mouse has a low battery indicator to avoid running out of power unexpectedly. 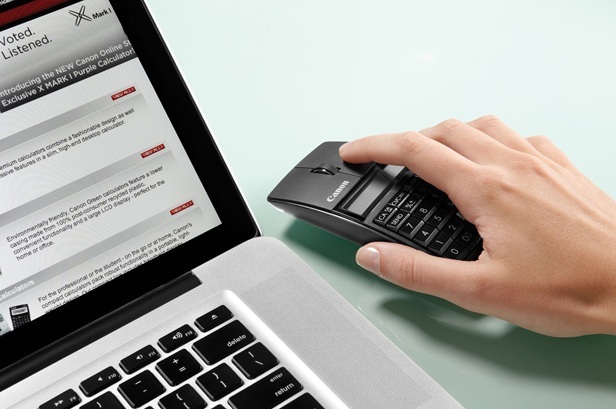 Designed for the on-the-go business professional, the Canon X Mark I Keypad provides users with a two-in-one keypad in addition to a 10-digit Semi-Desktop Calculator that can be easily paired with either a Windows PC or Mac laptop through Bluetooth 2.0. Powered by solar and AAA batteries, the X Mark I Keypad is available in black or white. The Canon X Mark I Mouse Lite will have an estimated selling price of $59.99 and is expected to become available in August while the Canon X Mark I Keypad will have an estimated selling price of $59.99 and is expected to ship in September.